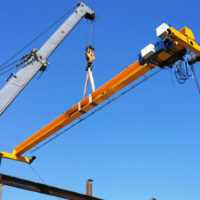 More recently, «Kyiv Crane Machinery Plant LLC» won a tender for the supply and installation of 3 bridge cranes for one of the largest domestic plants specializing in the manufacture of switch products needed for railways, metro lines, public rail transport, and industrial enterprises, on the territory of which the rail tracks are laid. 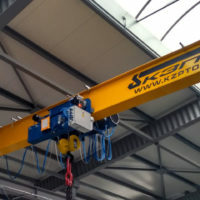 The main task of the necessary crane equipment is the lifting and lowering and transportation of cargoes on the technical span, the warehouse of the spans, and the thermo-log section of the lengthy castings of the spans in the steel shop (SS-1). 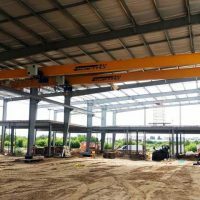 All three new bridge cranes are similar in design, their functionality and technical characteristics, except for the presence of one of the galleries, as well as the span of each model. 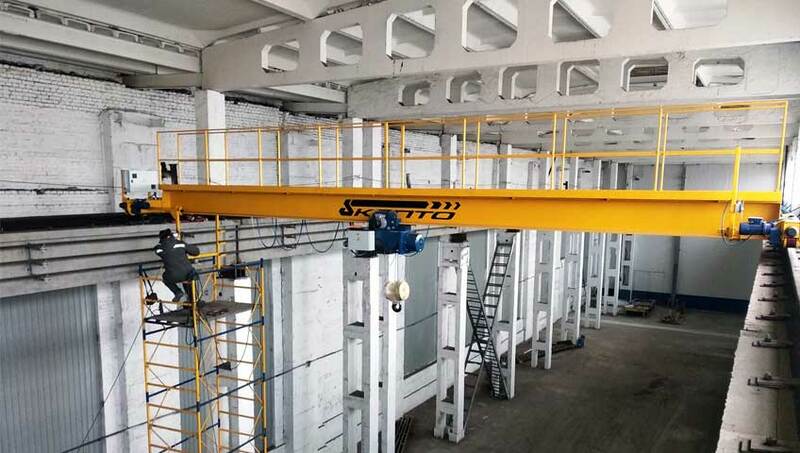 Accordingly, for each support crane of the beam, the span is: 8.0, 10.5 and 17.6 meters. 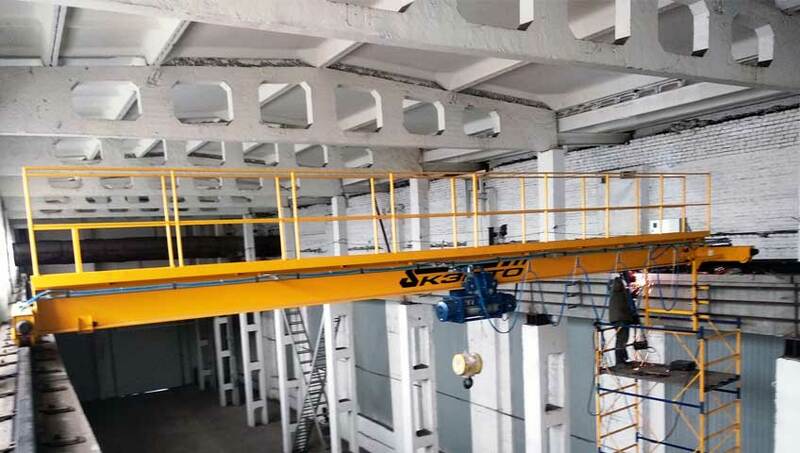 A crane with a span of 10.5 meters was additionally equipped with a passage gallery above the bridge, which allowed for a quicker and easier inspection of the main crane units, as well as ventilation and lighting equipment. operating mode group ISO or GOST - A5 (medium). 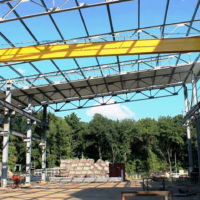 The span bridge is a powerful box girder of welded construction. 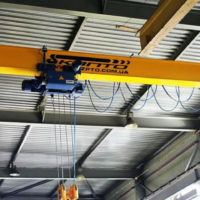 The basic equipment of each of the crane machines includes: hoist rope type MT, end beams, motor-reducers of movement and lifting (all - produced by the Bulgarian company Podem). 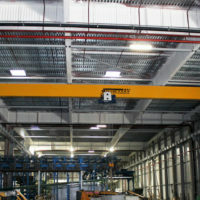 Each of the cranes can be controlled using both a pendant remote control and a radio control system. main contactor in the circuit. 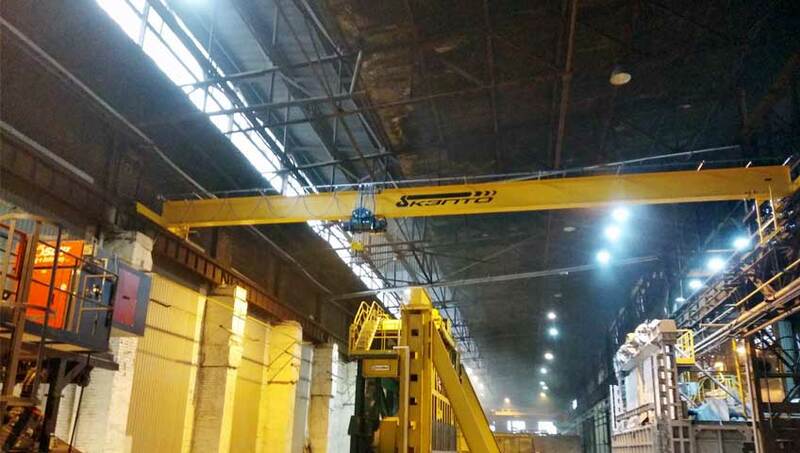 After manufacturing, the crane installations were delivered by special vehicles to the place of future operation, where the staff of the «Kyiv Crane Machinery Plant LLC» plant assembled them in the shortest possible time, tested and put into operation - all this took only six working days! 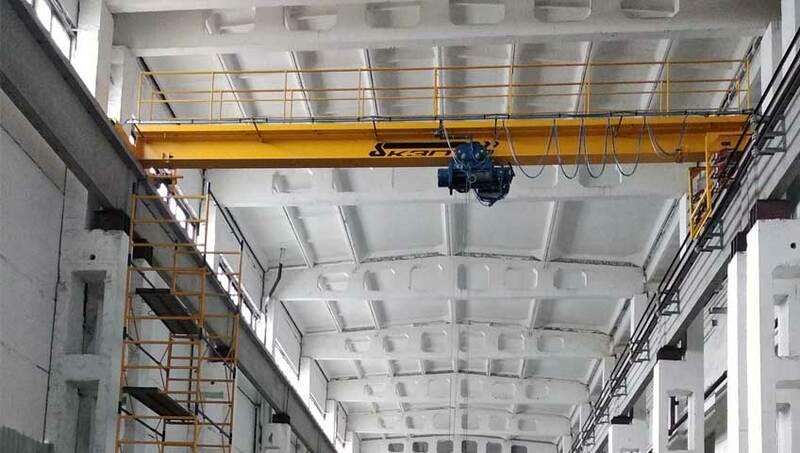 At the moment, all three bridge cranes are successfully operated in the steel mill, whose team, thanks to their use, was able to significantly increase the production of highly demanded switch products supplied both to domestic consumers and to many foreign countries.